September 2015 release at the Yamaha Tyros 4. [Mambo] Big Yellow Taxi / Things. 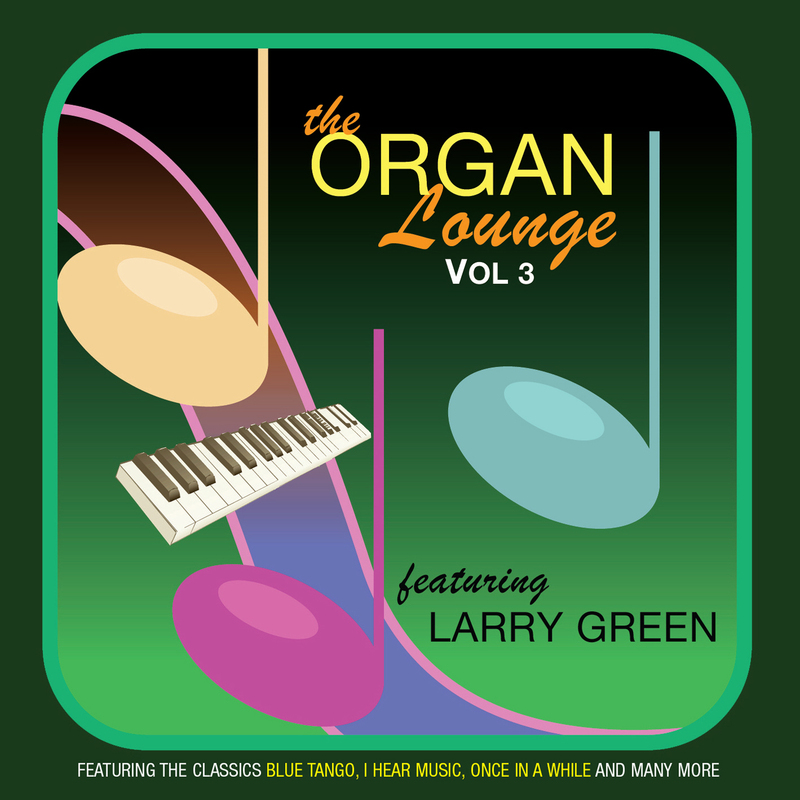 This Organ Lounge series started back in 2008 with David Last producing volume one at the Hammond XE200. Larry Green took over for volume two in 2011 switching to a Yamaha Tyros 2 and now we have the third instalment four years later (and two keyboard upgrades with a Tyros 4). As with John Kyffin, this is Larry’s twenty-seventh CD release (since 1999). David Last’s initial volume seemed akin to 1950s Hammond LPs and matched the ‘lounge’ title, while Larry’s volumes two and three are more of a toe-tapping ‘singalong’ style electronic / Wurlitzer mix (with the vibrato set on fast throughout, rather than a variable Leslie simulation). However, this sound is a popular one and if you enjoyed volume two, then you will enjoy this. Highlights include, “I Hear Music”, “Dream / If I Give My Heart To You”, “Here’s That Rainy Day / Girls Were Made To Love and Kiss”, “Wheels”, “La Cucaraca” and “Big Yellow Taxi / Things”.